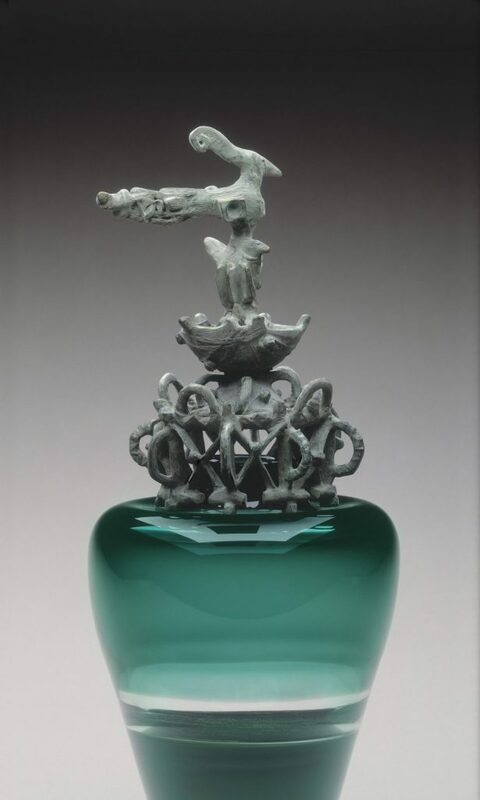 While exploring the possibilities of combining glass and bronze, the series Birdlands was born. By using the incalmo technique Lintzen fused two glass blown shapes into one. 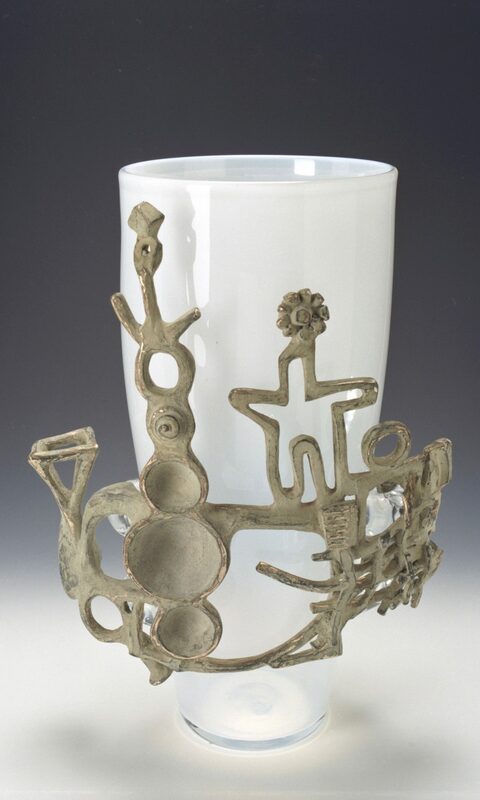 The combination of the glass and the bronze complements both materials. 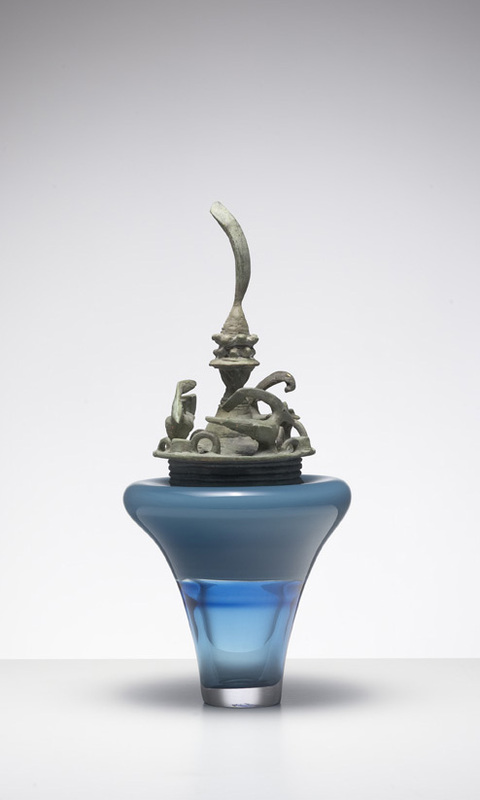 An ornamental sense is formed by bronze elements, structured into natural shapes such as trees, flowers or birds, and the flowing shape of the glass spheres. Nature seems to elevate the mundane.